Introduction: This paper describes a novel method of using Single Access Laparoscopy to reverse a colostomy from a standard Hartmann’s procedure. Methods: A patient who underwent a Hartmann’s procedure for a perforated diverticulitis three months previously underwent reversal of colostomy by laparoscopy. The stoma itself was incised via a circular incision, dissected from the abdominal wall, and prepared for a circular stapling device. The opening in the abdominal wall was then used for the Single Access device. The pelvic dissection and end-to-end anastomosis using a circular stapling device was then performed laparoscopically without any additional incisions. Results: The patient recovered from the surgery and was discharged from the hospital without delay or complications. 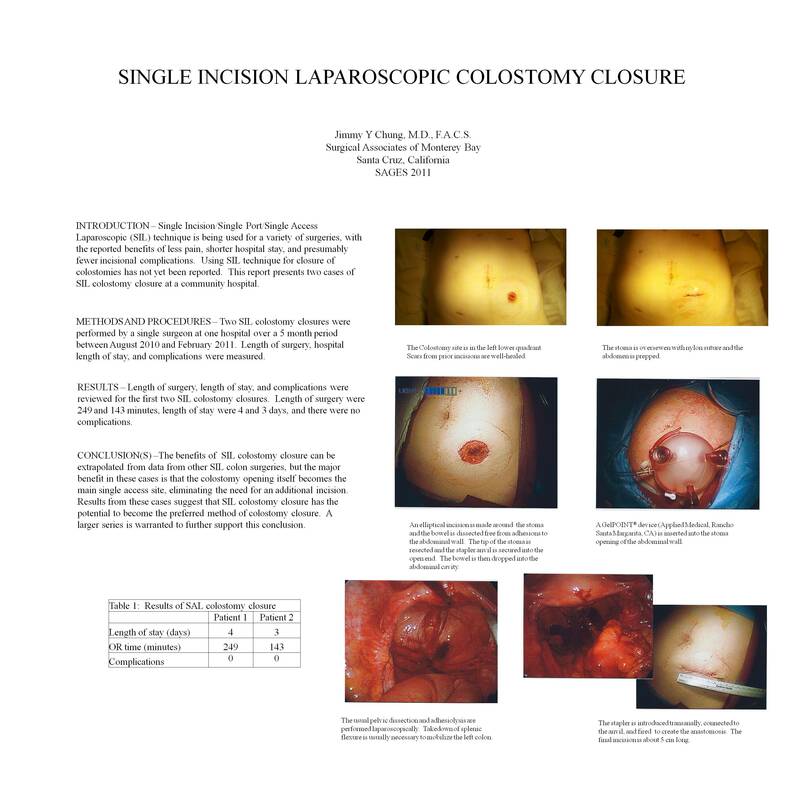 Conclusion: Single Access Laparoscopy can be a novel method of colostomy reversal that results in excellent patient outcome and minimizes incisional complications.